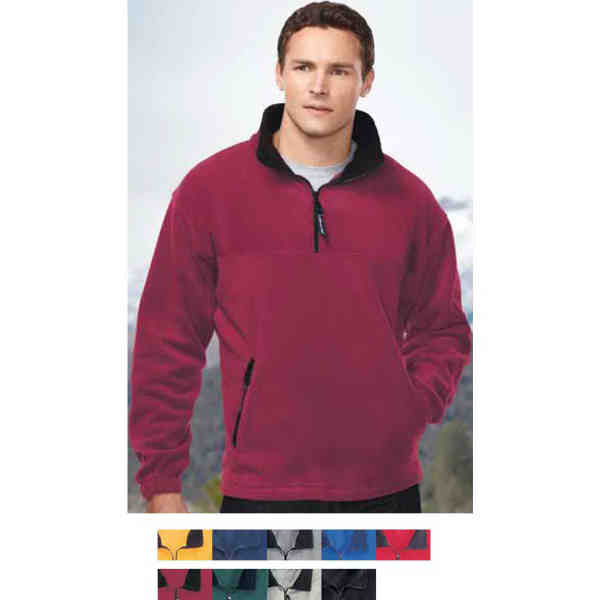 Size: XS, Size: S, Size: M, Size: L, Size: XL - Viking Classic Panda Fleece™ Pullover. 10.5 oz. heavyweight polyester anti-pilling Panda Fleece™. Also features contrasting color trim on inner collar and zippers, two front zippered pockets, 1/4-zip front and elastic cuffs. Drawcord sweep.